"It's a really weird one." 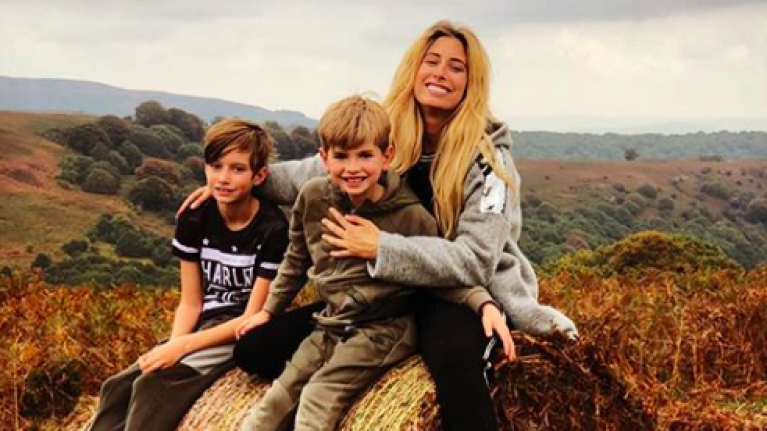 Stacey Solomon has said she often questions her decision to have one of her sons circumcised. The singer and presenter said that she opted to have her oldest son, Zachery, circumcised when he was born for religious reasons, but that she hadn't bothered with the procedure for her other son, Leighton. Speaking on Loose Women, Stacey and the rest of the panelists were discussing piercing young children's ears, and whether it was cruel or not. Stacey said she didn't think having her son circumcised was cruel, but that she does wonder whether she should have done it. I can confirm that the little bean growing inside of me thoroughly approves of Pancake Day 🥞 So do the ones on the outside 😂 HAPPY PANCAKE DAY! "One of my children is circumcised and the other one isn’t," she said. "And I really do have a moral debate with myself all the time whether I should or shouldn’t have… it’s a really weird one. I don’t feel like I did anything wrong or cruel. At the time I felt safe and happy and my reasons behind it were good, but then five years later I didn’t feel strongly enough to do it again." Stacey, who is now pregnant with her first child with boyfriend Joe Swash, said earlier this week that her son's had struggled with going to the toilet for years when they were younger. She said that one of her sons was so afraid to go in public that he would hold it in, eventually causing "damage"to his body.